It is day four of the #beautybrawl16, once again if you want to see what everyone else is posting then use this hashtag on instagram and twitter! Day four is the day of Mascara and I had so many new mascara's to try, it was so difficult to choose what Mascara I wanted to review. 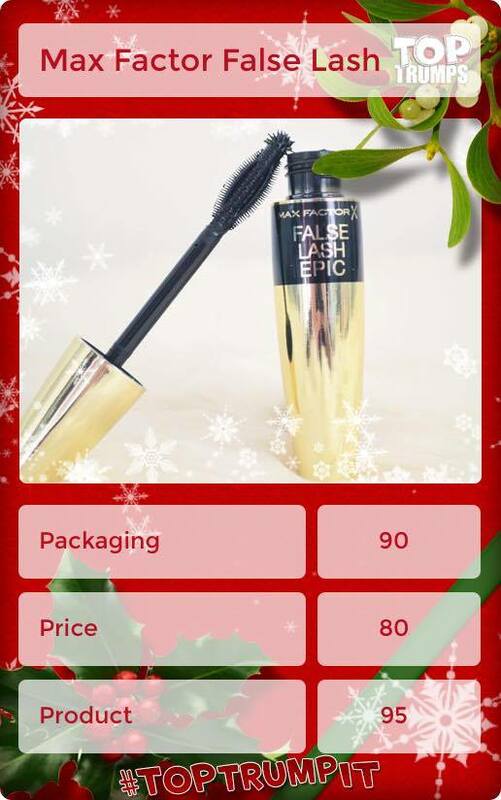 I decided to go for the Max Factor False Lash Epic Mascara which you can find in Boots and Superdrug, for only £11.99! "Designed to stand up to the zoom, the Max Factor False Lash Epic Mascara brush with Zoom-Action Tip captures and magnified every detail of every lash for an epic lash fan. No lash is left unseen. Max Factor Creative Director and Make Up Artist to the stars Pat McGrath says - "This Epic mascara magnified every lash! Zoom right in. This is major!". Honestly, if you haven't tried this Mascara then you need to! You only need one coat of Mascara and boom you have the longest, fullest lashes in the world which aren't clumpy! So with the Zoom-Action Tip. Designed to stand up to the zoom, This Mascara captures every detail of every lash which is something that I absolutely love. This truly does capture every single lash which is something that not all of my Mascara's do. This mascara makes my lashes look thick and full without making them clump together, which again is something that you don't always find in every Mascara. Push the body of the brush deep into the root to capture and magnify every detail of every lash. Then, using both sides of the brush, draw it up through your lashes. My lashes are left looking are a lot longer, they're thicker, fuller and so much darker than if I didn't use mascara at all. I have found this mascara lasts all day without smudging across the bottom of my eyes nor does my lashes drop. It's also very easy to remove with micellar water, baby wipes and cleanser too! When I started using this, I did poke myself in the eye a couple of times because of the way in which the end of the mascara wand is rounded like a ball, however after using this for a couple of times this issue was resolved. I'd definitely say use it more than once to decide whether you like it or not. I used it for the first time and didn't think much of it but after using it a couple more times, it's now a mascara I use most of the time. I'm not one to spend a lot of money on Mascara until I know exactly how incredible it is. If I receive one as a gift from someone and fall in love with it, I will pay whatever price for it. If I had to buy this for the first time without trying it as a sample, I probably wouldn't spend £11.99 (I'm forever on a budget). However, If I were to purchase this after now using it for a while, I would definitely spend the money on it. I love how my lashes look once I have used this and I do not need to use two coats, which is always saving product! I've also had so many compliments on how my eyes look and I've always been wearing this mascara too, which definitely says something!